The analytical ultracentrifugation (AUC) technique is presented as a highly effective method for characterizing the structural aspects of macromolecules and as a quantitative technique that provides access to detailed thermodynamic characterization of a system under study. Also learn how AUC enables study of conformational changes and complex formation in physiologically relevant buffers. Dr. Andy Herr provides a great overview of analytical ultracentrifugation (AUC). 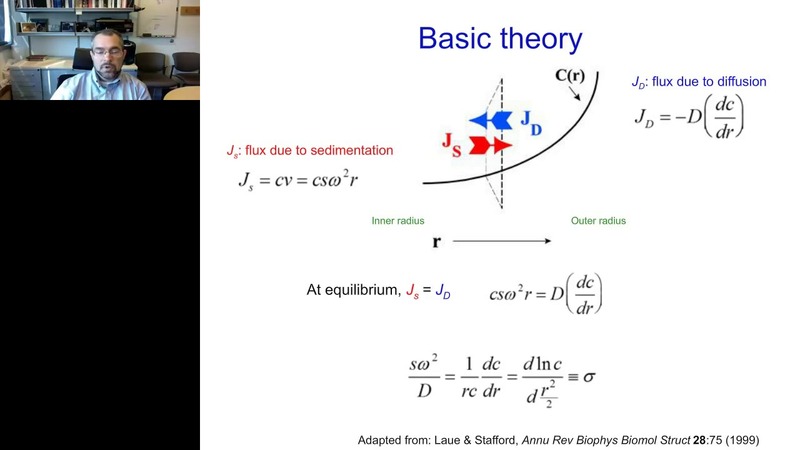 He discusses basic theory of AUC, sedimentation velocity, sedimentation equilibrium, and more. 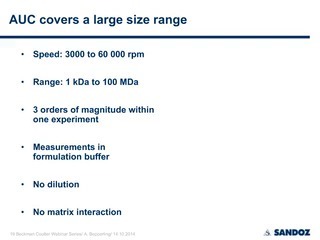 Dr. Alexander Bepperling focuses on the data analysis tools to achieve high precision when analyzing biopharmaceutical products due to an interest in minor species of about 1-2% usually comprising of the total protein content. He focuses on the data analysis done in SEDFIT. Learn how to set up continuous c(S) distribution analysis as implemented with SEDFIT software for enhanced reproducibility during a study of many batches of one protein. Also covers applications of sedimentation equilibrium (SE) for screening weak interactions and determining detergent binding to proteins. Sedimentation velocity (SV) experiments on dispersed nanoparticles present an effective means for determining the hard-to-evaluate properties of nanoparticles. This webinar by Dr. Jeffrey Fagan focuses on leveraging the capabilities of SV methods for characterizing single-wall carbon nanotubes (SWCNTs). 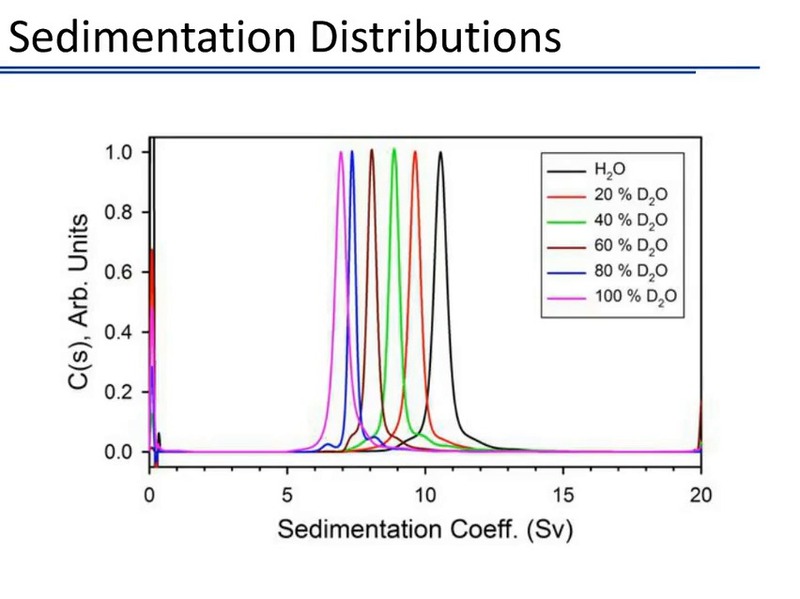 Results detailing the use of density contrast techniques on the characterization of the interfacial layer on specific SWCNT species demonstrate the power of analytical ultracentrifugation to resolve this interfacial layer. Dr. Jeffrey Fagan is from the National Institute of Standards and Technology and discusses the analytical ultracentrifugation of single-wall carbon nanotubes, as well as provides background information to apply to other nanoparticles. Dr. Fagan begins with an introduction to analytical ultracentrifugation and a quick explanation of single-wall carbon nanotubes. He discusses what we can characterize with the AUC technique, problems and pitfalls we might encounter, and a discussion about how those pitfalls can differ for different nanoparticles. Lastly, he provides two technical examples using the AUC measurement technique on single-wall carbon nanotubes.